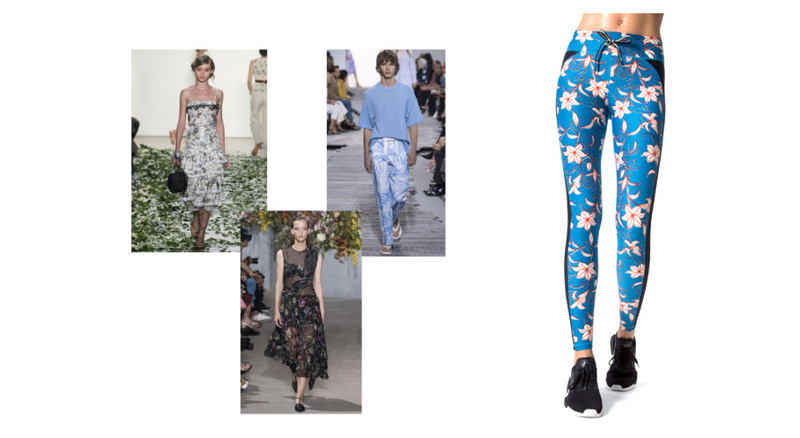 This twist on the typical floral pattern will soon be seen in the gym. Through their spring 2018 collections, designers transported us to a different world. Western style, industrial garments, and sports were some of the recurrent themes, with a spotlight on pastels as the go-to color palette for the upcoming fashion season. Here, three trends from the SS18 runways that can be translated into activewear. Prabal Gurung, Jason Wu, and Victoria Beckham were just some of the designers who built on this popular transparent look. Soft fabrics were delicately wrapped and overlaid to show skin in a romantic manner. 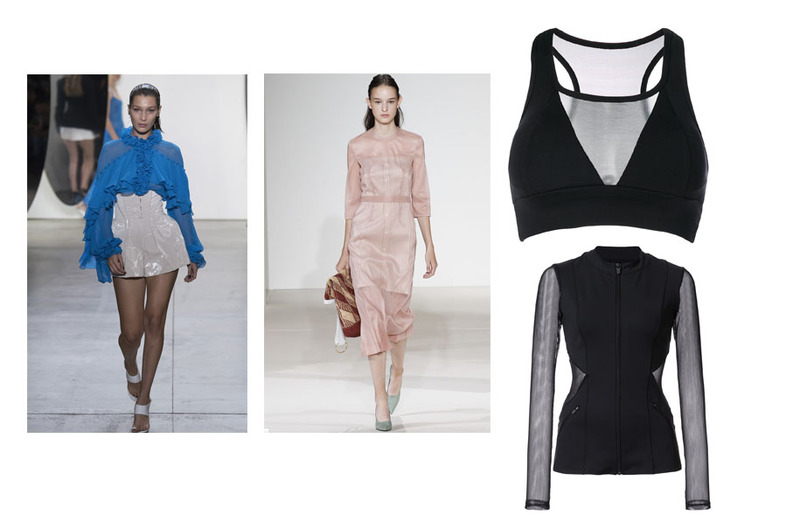 Try incorporating the style in the gym with these tops from Bodyism and Cushnie et Ochs. 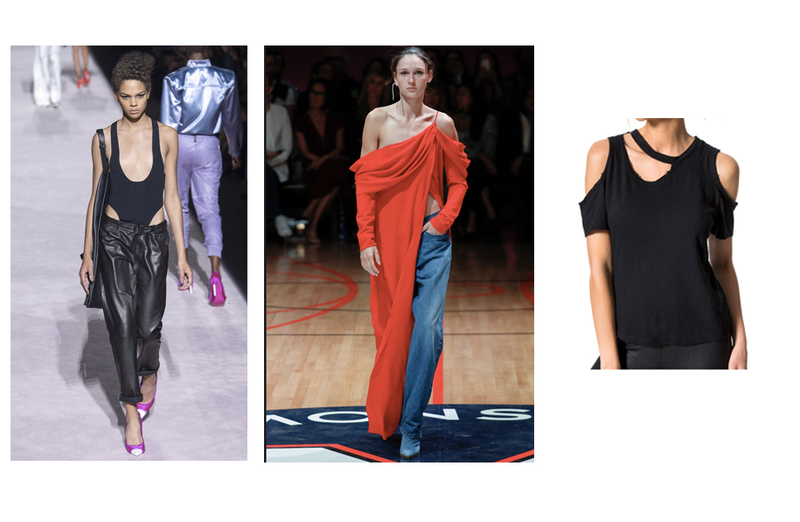 The off-balanced silhouette (as seen in designs from Tom Ford, Monse, and Calvin Klein) wraps around the neck, and creates a stunning visual effect. Create a chic gym look by combining this Carbon38 top with a pair of all-black leggings and sneakers. Florals are not groundbreaking in spring, but this time it’s all about delicate iterations that focus on small, subtle, and feminine prints. These leggings by The Upside feature whimsical flowers and performance materials including quick-drying fabric and SPF 30+ protection.